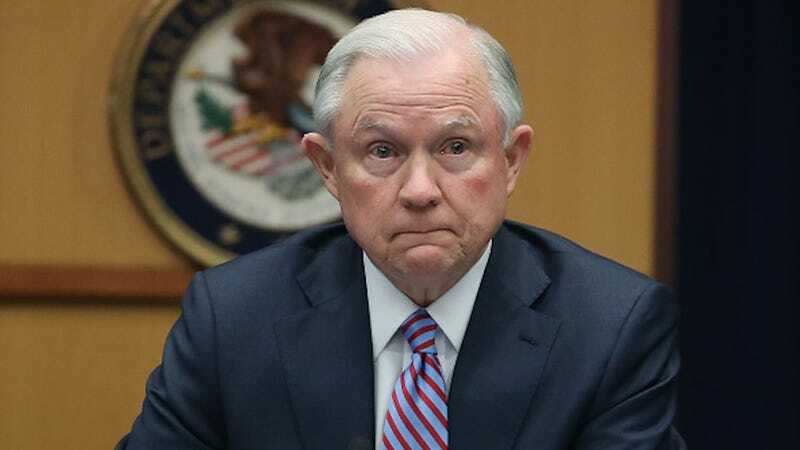 Attorney General Jeff Sessions—an elf with the distinct honor of being Rumpelstiltskin’s most racist descendent—doesn’t understand the fuss over his reference to Hawaii as “an island in the Pacific.” After all, he’s just a good ol’ boy who likes to make jokes about people of color. As you may recall, Sessions was perturbed that Derrick Watson, a federal judge serving in Hawaii, blocked Donald Trump’s latest attempt at a Muslim ban. Because, like, what even is Hawaii? “I really am amazed that a judge sitting on an island in the Pacific can issue an order that stops the President of the United States from what appears to be clearly his statutory and Constitutional power,” he told radio host Mark Levin. I can’t stop thinking about Sarah Palin and her merry band of millinery enthusiasts. In turn, we were all amazed, because Hawaii is one of the 50 aforementioned United States, and most of us learned about checks and balances from Schoolhouse Rock. We were less amazed that Sessions would make a racist comment like this because he’s nothing if not consistent. But Sessions can’t believe we’ve all been such spoilsports. Can’t a guy have some fun [at the expense of others] once in awhile?